Forest regulation is never far from the headlines. The recent COP 18 negotiations held in Doha towards the end of 2012 were criticized by observers for slowing the development of the ‘REDD+’ initiative and for marking the end of ‘Forest Day’, whilst in the last month controversy has arisen following reports that the World Bank’s investment in forestry-related projects has failed to address poverty or benefit local communities. 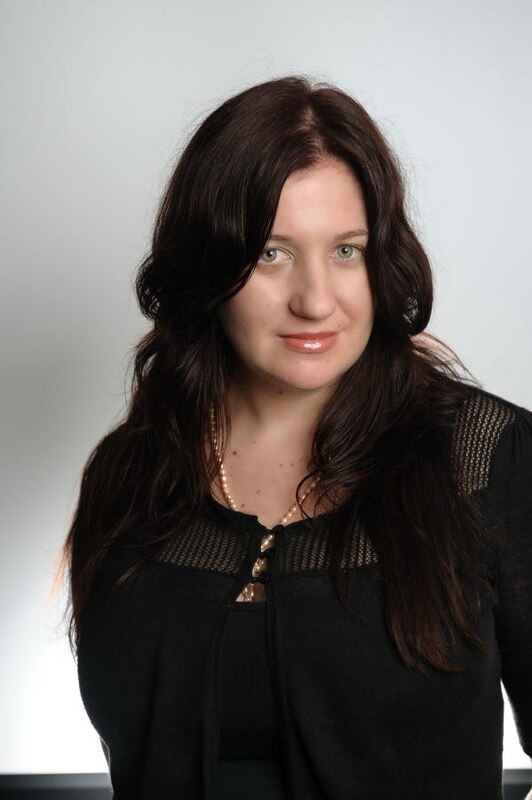 Dr Rowena Maguire’s research focuses on international climate and forest regulation and indigenous and community groups rights and responsibilities in connection with environmental management. Her new book, Global Forest Governance, identifies the fundamental legal principles and governance requirements of Sustainable Forest Management, an introduction to which is provided in her article below. The Global Forest Resources Assessment completed in 2010 found that global forest cover extends across 4 billion hectares which accounts for 31% of earth’s total land area. These forests support 80% of terrestrial biodiversity and house more than 300 million people worldwide. While there is downward trend in terms of annual deforestation rates, the annual rate of deforestation remains high with 13 million hectares (the land mass of Greece) being converted every year for other land use purposes. A recent report has found that agriculture expansion is responsible for 80% of deforestation worldwide. Reverse the decline in official development assistance for sustainable forest management and mobilize significantly-increased new and additional financial resources from all sources for the implementation of SFM. No Legally Binding International Forest Law? It is true to say that there is no legally binding international instrument concerning forest use and management. While some conventions such as the Convention on Biological Diversity create some obligations for forests, there is no comprehensive forest convention creating obligations to protect and manage all forest values and services. States have been unwilling to adopt legally binding commitments for their forest estates due to concerns that these commitments will limit their sovereign powers. There are also a range of justice considerations that must be addressed before states agree to a legally binding international forest instrument. Some distributive justice issues requiring attention include: acknowledging the role that industrialized countries play in increasing deforestation in tropical and developing countries through their demand for certain agriculture and timber products; and creating a system for sharing the responsibility associated with implementing SFM that reflects the benefits the global community gains as a result of national SFM practices. 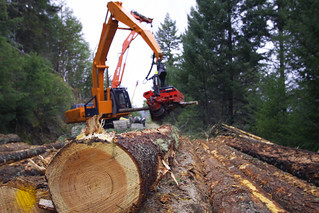 In the absence of an international legally binding framework, a number of international forest processes have developed. This has created a situation in which there is confusion as to the goals, standards and criteria of global forest governance. The UNFF has created two sets of non-legally binding international forest principles. The first set of forest principles were adopted at the United Nations Conference on Environment and Development in 1992 and the second set were adopted at the 7th session of the UNFF in 2007. Both the 1992 and 2007 forest principles have seen limited implementation and the mandate of the UNFF expires in 2015. The EU is in the process of examining its role in taking forward discussions concerning a legally binding international forest instrument. The European Commission is calling for halting of global forest cover loss by 2030 at the latest and reducing gross tropical deforestation by at least 50% by 2020 from current levels. Other international institutions involved in the creation of forest policy include the World Bank and the United Nations Framework Convention on Climate Change (UNFCCC). The World Bank’s Forest Strategy focuses on the relationship between forests and poverty, while the UNFCCC focuses on the carbon sequestration values of standing forests. In 2007 the bank also toyed with the idea of creating a Global Forest Partnership, owing to their belief that a new approach was needed to address regulatory challenges in the forestry sector. Will Carbon Save the Forests? The UNFCCC has started to play a large role in international forest policy. 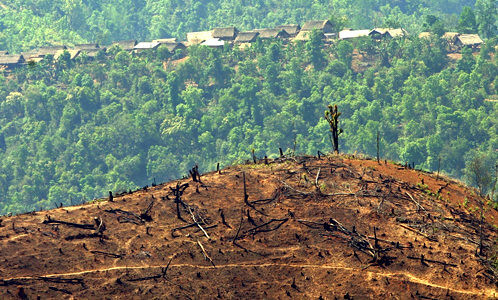 This is as a result of the finding of the Economics of Climate Change Report of the British Government in 2006 (the Stern Review) that global deforestation rates account for 20% of global greenhouse gas emissions. Addressing deforestation rates as a means of decreasing global greenhouse gas emissions was viewed by many as a cost effective way to mitigate climate change. Reduced Emissions from Deforestation and Degradation (REDD+) is the name of the policy within the UNFCCC that seeks to avoid further deforestation by transferring finance and capacity to developing countries to conserve forests. The aim of the REDD+ initiative is to create a legally binding agreement within the UNFCCC detailing how incentives will be generated and pay for reduced forest emissions and forest degradation. The significant State support for the REDD+ initiative resulted in unprecedented support for the initiative among the parties to the UNFCCC. The most recent COP negotiations in Doha have slowed the development of the REDD+ initiative with issues such as resolving how the multiple benefits of forest are to be recognized; increasing finance for the initiative; and agreeing on the requirements for monitoring, verifying and reporting being sticking points within the negotiations. The REDD+ initiative is therefore battling age old challenges of global forest regulation – competing priorities, lack of finance and lack of monitoring and enforcement capacity. REDD+ is therefore unlikely to be a silver bullet for SFM in the short term and, like other international forest initiatives, will have to weave its way through the complex web of politics surrounding global forest governance. Dr Rowena Maguire is a lecturer in the School of Law at the Queensland University of Technology and a research affiliate at the Cambridge Climate Change Centre for Mitigation Research. Rowena’s principal research interests and publications concern international climate and forest regulation and indigenous and community groups rights and responsibilities in connection with environmental management. Her PhD research was concerned with the international regulation of sustainable forest management and this work has been recently published: Global Forest Governance: Legal Concepts and Policy Trends (Edward Elgar 2013). Rowena was awarded a Queensland and China Government Climate Change Fellowship in 2011 to undertake research on forest regulation in China. Presently Rowena is part of a Cambridge research team supporting the Kenyan government to prepare for Reduced Emissions from Deforestation and Degradation (REDD+) and climate smart agriculture investment. She is a member of both the Environmental and Resource Management Research Programme and the Crime and Justice Research Centre within the Faculty of Law at QUT. Rowena was the co- chair of the Shifting Global Powers Colloquium hosted by the QUT law faculty in November 2011; on the steering committee of the Rethinking International Law and Justice Conference hosted in Istanbul in September 2012; and the co-chair of the Environmental Justice workshop hosted by the QUT law faculty in November 2012. Rowena is a co-editor on two collections emerging from the Shifting Global Powers Colloquium – Rowena Maguire, Bridget Lewis and Charles Sampford: Shifting Global Powers: Challenges and opportunities for International Law (Routledge 2013 forthcoming), and Rowena Maguire and Angus Francis: Protection of Refugees and Displaced Persons in the Asia Pacific Region (Ashgate 2013 forthcoming). She teaches law in context, international law and environmental and planning law at the undergraduate level, and international aid and development at the postgraduate level. Rowena is working with the Environmental Defenders Organisation Queensland to offer QUT students valuable exposure to environmental community legal organisation experience and she was part of a team that received a QUT Engagement and Innovation Grant in 2012 for this purpose. Other service related work includes consultation on a number of donor funded consultancy projects such as designing and delivering environmental training programs for groups from Kenya, China, Vietnam and the Pacific.